Passing through Buffalo, New York on the New York Central's Lake Shore mainline, one clumped over a number of crossings of various lines. 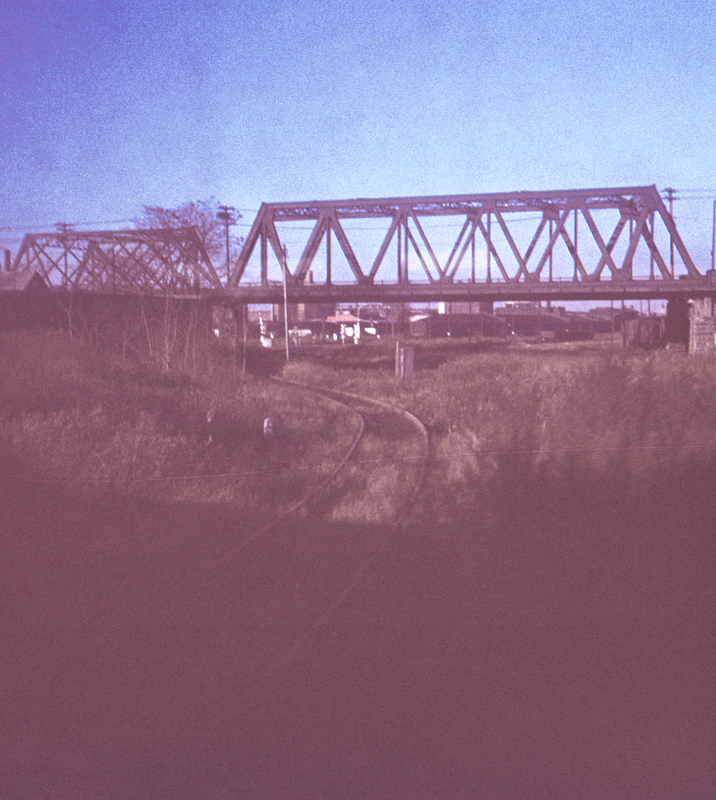 It's hard to tell after so many years have passed, but this appears to be taken looking west from one of the Penn Central's remaining Buffalo-Chicago runs just north of the Exchange Street grade crossing, which would make the overhead bridge Hamburg Street with the Erie's former passenger line in the foreground (imagine a crossing of the New York Central mainline at grade with only a dwarf signal for protection!). The gates in the background would probably be protecting part of the wye connecting to the Central's Niagara Falls line.